With the upcoming Star Wars: Episode IX, J.J. Abrams is set to not only finish what he started with 2015’s The Force Awakens, but also tie up the loose ends left by The Last Jedi while resolving the arcs of multiple Original Trilogy characters. “I’m not complaining when I say this, but it was having to make decisions based on gut. When Damon Lindelof and I created Lost, we had essentially 12 weeks to write, cast, shoot, cut, and turn in a two-hour pilot with a big cast. And that was a crazy short amount of time. 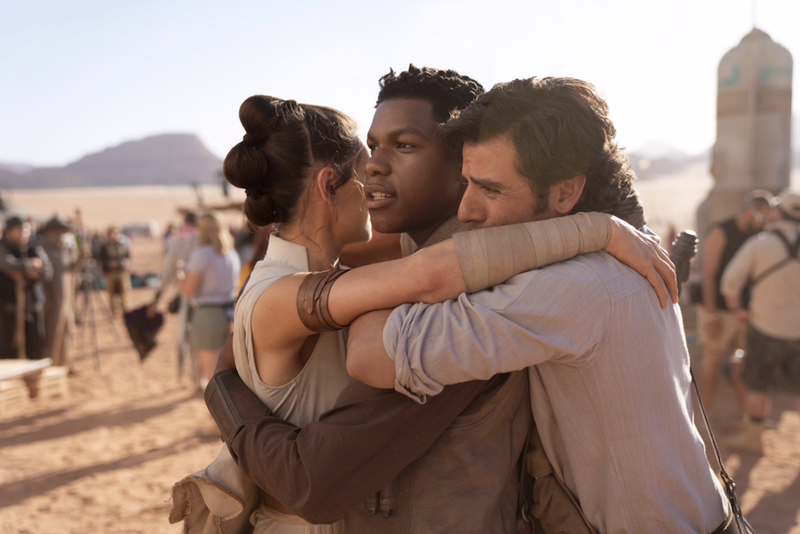 Actor Oscar Isaac has previously recalled a “looseness and energy” on the set of Episode IX, claiming that the team was more willing to try new things than they were on the previous two installments. Abrams’ latest comments paint a similar picture, though in crafting the story of his next feature, there was one huge factor that he still had to take into account: The Last Jedi. Though there’s much debate over just how much Rian Johnson’s film diverted from Abrams’ original vision for the Sequel Trilogy, we can at least assume that the Knives Out helmsman was given a degree of creative freedom for his divisive 2017 flick. And according to Abrams, keeping his story in line with the events of The Last Jedi added further to the challenge of Episode IX. Nonetheless, Abrams’ work on Star Wars: Episode IX seems to have gone more or less according to schedule, and we could be just a few days away from seeing our first footage from the film. But regardless of what we learn from this week’s Star Wars Celebration, we still have most of the year to wait before the flick hits theaters on December 20th, 2019.